Brothers Elie, Abe and Al Ata founded Elie Baking Corporation, in 1992, after realizing a need for high quality, authentic Mediterranean style bread. The brothers, who grew up on a family farm in Lebanon, and then later opened a restaurant together, began baking their own pita bread to place on their menu. Because their bread was superior in quality to others on the market, customers and restaurateurs desired to buy their pita to either consume or sell outside of the restaurant. ​To meet the consumer demand, the brothers purchased several bakery locations to produce pita and bagels, as well as a tortilla manufacturing company. Over the course of 13 years they fine-tuned their manufacturing processes to ensure the use of the best ingredients on the market in their products. The company prides itself on capturing authentic, old world flavor and quality in all of its product lines. The pita matches the specifications to replicate the bread produced by the finest bakers in Lebanon, the bagel is inspired by the New York style flavor with a softer texture, and the tortillas follow an authentic Mexican recipe that meets applause from even the toughest critics. As Elie Baking Corp. now has the capabilities and breadth to be recognized as a full service commercial baking company, they are currently selling products under numerous brands up and down the east coast. The company continues to grow its success by recognizing the importance of listening to customers, respecting their opinions and doing everything to exceed their expectations. They truly have found this to be their recipe for success! elie's products are 100% nut safe! Here at Elie's, we fully understand the challenges and obstacles of peanut and nut allergies can create. Soooo.... we are happy to tell you that all of Elie's Products are completely nut safe and free. 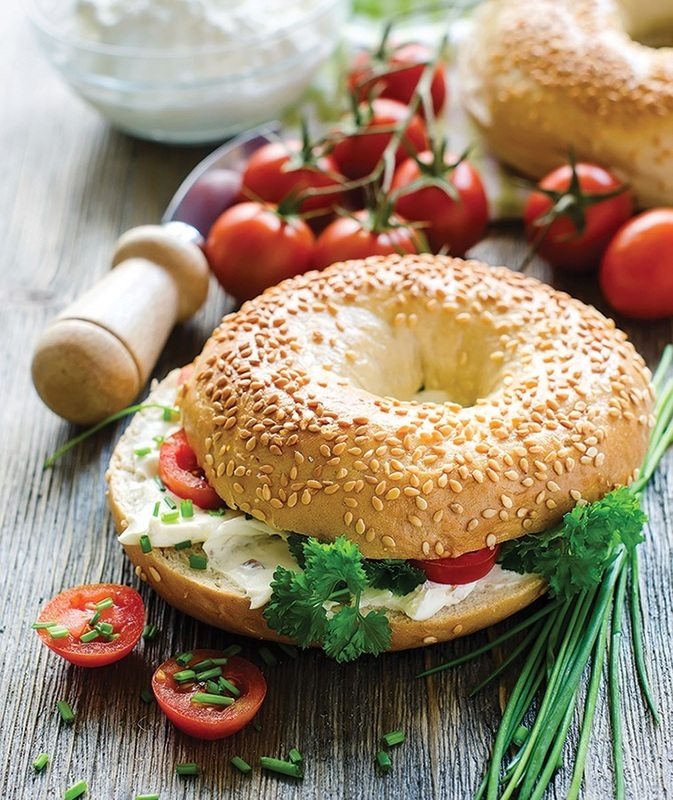 Bagels, Pitas, Wraps, Gyros & more without the worry of factory cross-contamination. Need a flavor or something we don't bake now but is nut safe? Let us know! DON'T MISS ELIE'S 70 CALORIE PITA! Have you tried Elie's 70 calorie pita? You read that right, our delicious pita only has 70 Calories.